About 40 years after the premiere of “The People United Will Never Be Defeated!” — Frederic Rzewski’s piano composition based on a populist Chilean song — John Kramer ’95 is taking the 50-minute piece on the road in Massachusetts and Maine. “It’s an amazing piece of music and well worth the effort,” says Kramer. A composer, conductor, and pianist based in Boston, Kramer performs the Rzewski at Bates on March 18. It’s the next-to-last stop on a mini-tour that concludes March 29 at Berklee College of Music, where Kramer is an assistant professor in the harmony department. For Kramer, the Bates gig affords a chance to perform where he first began to envision his eventual occupation. He studied piano with James Parakilas, James L. Moody Jr. Family Professor of Performing Arts, and composition with William Matthews, Alice Swanson Esty Professor of Music. “The People United Will Never Be Defeated!” comprises 36 variations on a theme derived from the Chilean song “¡El pueblo unido jamás será vencido!” by Sergio Ortega and Quilapayún. The song is one of a number of populist anthems that arose around the Unidad Popular coalition, which preceded the overthrow of the Salvador Allende government. 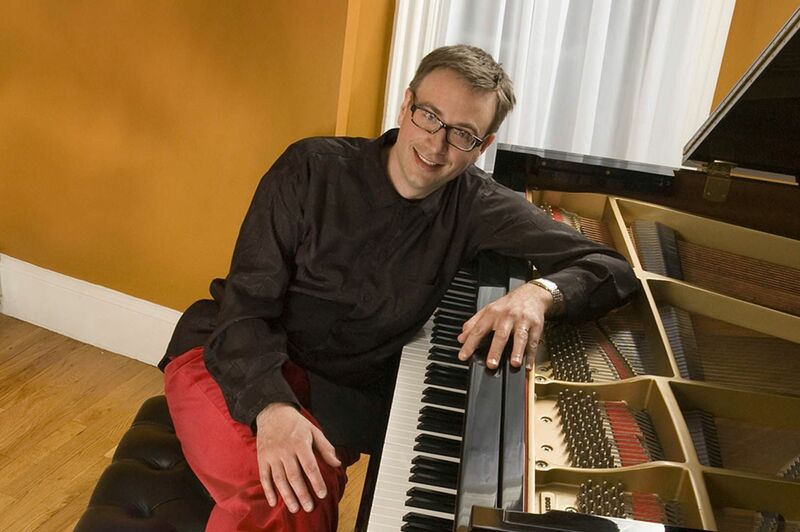 Kramer’s own compositions include the Chorale Partita on “Greensleeves,” a commission by renowned organist Marilyn Mason that was published by Morningstar Press in June 2006. His most recent composition is “A Dream of Hope,” a five-movement cantata commissioned by the Winchester Unitarian Society, where he is music director. Marking the society’s 150th anniversary, the cantata was premiered in November.